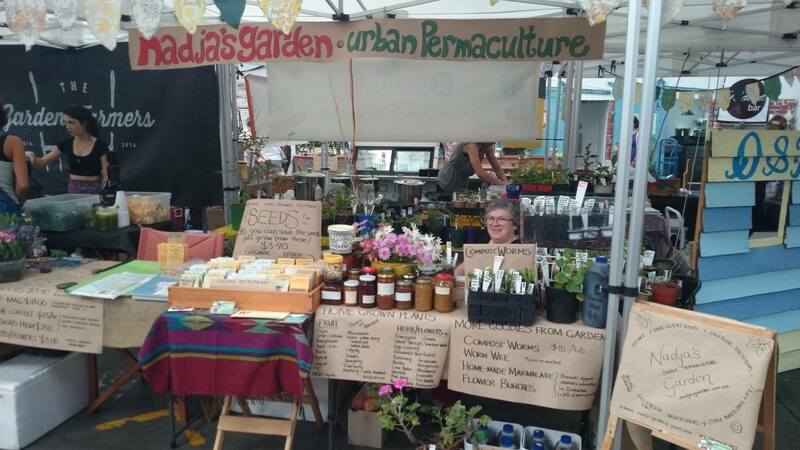 Nadja’s Garden at the Seed Freedom Food Festival in Adelaide in 2014. What sort of business is Nadja’s Garden? I apply permaculture design to home gardens, mainly in the south-western suburbs of Adelaide and occasionally in the hills and country SA. My motto is “grow your own green thumbs” – I aim to help people get on the path to sustainable and productive living, and to do as much as they can for themselves and in cooperation with their local community. Typically this starts with a conversation, then a questionnaire or wish list for the client’s garden, then a consultation on site and a collaborative design process over a few weeks to clarify the vision for what they will create over the next few years. I provide a DIY information package and ongoing support while they put the plans into action. 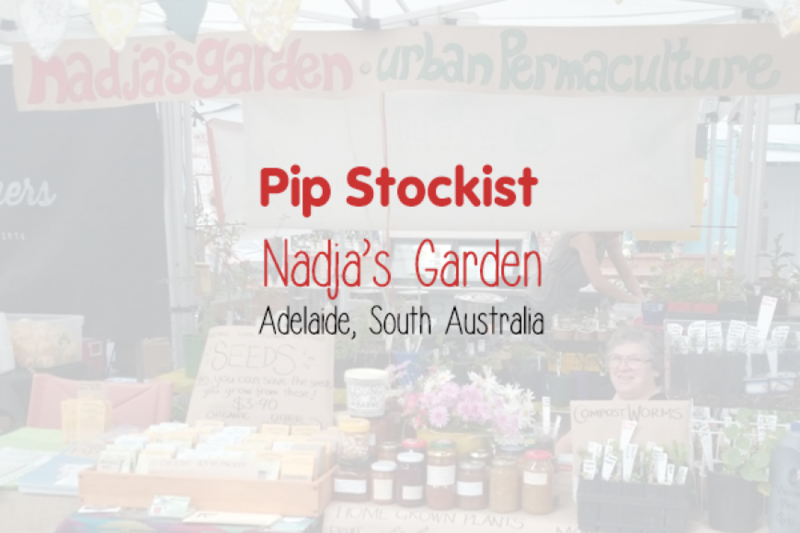 Nadja’s Garden has a regular market stall at the Organic Corner Store market in Glenelg North, which is a lovely little market hosting many small local businesses, next door to a community garden. At the market stall I sell Greenpatch and Select Organic seeds, my mum Sally sells her home-grown plants and jams made with backyard and locally foraged fruits, and we share gardening experiences and enjoy the company of positive people and the best coffee and snacks in town! We also enjoy the swap table which is a point of connection between the community garden and the market. In between times I facilitate gardening and permaculture workshops, including working-bee style sessions in clients’ home gardens, and work with preschoolers and their carers in the learning gardens at two local childcare centres. I also write in various places – on my blog, Facebook page, in Pip’s monthly garden guide, and last year I wrote an ‘Adelaide Gardening Calendar’ – a local, monthly productive garden guide which I hope to expand for a second edition later this year. How did Nadja’s Garden come to be? It grew from a hobby into a business, rooted in home gardening, community garden experience and permaculture training. I set up the business part-time while I was working in the sustainable building field, and then went full-time as demand grew a couple of years ago. It’s still early days but I love the balance of roles that it includes and it keeps me very busy! What prompted you to stock Pip Magazine? Pip is such a natural fit with what I do – I love reading about how others are using permaculture principles across Australia, and it offers a beautiful introduction to share with my local customers and clients who would like to grasp how permaculture applies today. Pip is available from my market stall, by post or home delivered with a consultation.